As we enter a new era of technological innovation, traditional processes have become obsolete, and doing things on paper is now a thing of the past. 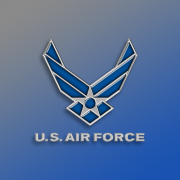 This was the realization made by the 673rd Force Support Squadron at Joint Base Elmendorf-Richardson (JBER) in Anchorage, Alaska. 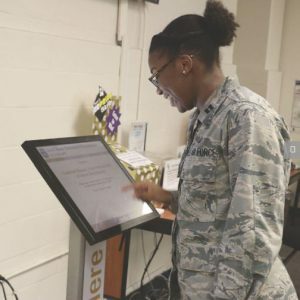 In April 2017, JBER replaced their outdated customer sign-in procedures at the Air Force Military Personnel Section (MPS) with a QueueKiosk™ solution developed by DynaTouch. This customer flow management solution eliminates the paper sign-in sheet and allows customers to digitally sign in the second they arrive, reducing wait times and granting faster response times to customers. 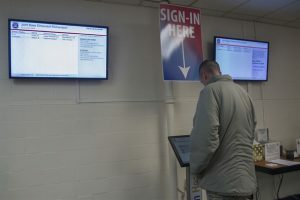 Even better, customers can check wait times and sign in online BEFORE heading to the facility. And when they check in, customers can opt-in to receive mobile updates via text message. 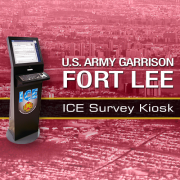 The JBER hardware solution includes a durable TIPS touchscreen kiosk check-in station, accompanied by two 42” all-in-one wall-mounted “Status Board” displays to show the position of visitors in the queue. The kiosk is powered by TIPS Kiosk Management Software™ which secures the browser and allows for remote updates at any time. 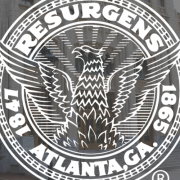 The easy-to-use interface is tailored to match JBER’s branding and can be configured with up to three custom sign-in fields. MPS staff can view an analysis of wait time trends on the web-based dashboard from any computer, which notifies them when a customer exceeds the configurable wait time threshold, as well as when a new user joins the queue. 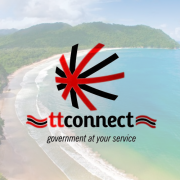 For the first time ever, administrators are able to quickly produce activity reports for any time period detailing all customers that have been serviced, as well as indicators of staff performance. 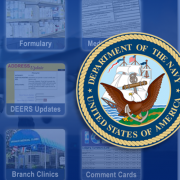 The JBER solution also includes a subscription to TIPS Cloud™, DynaTouch’s password-protected web-based Kiosk Administration Portal, where authorized kiosk administrators can view system status, view and print system usage data, receive automatic email reports, upload new attract loop graphics, submit problem notices, and submit change requests. 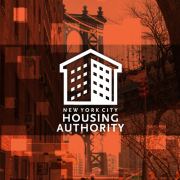 Since installation, the kiosk has processed over 10,000 user sessions — that’s 10,000 pieces of paper and countless hours of work put to better use. 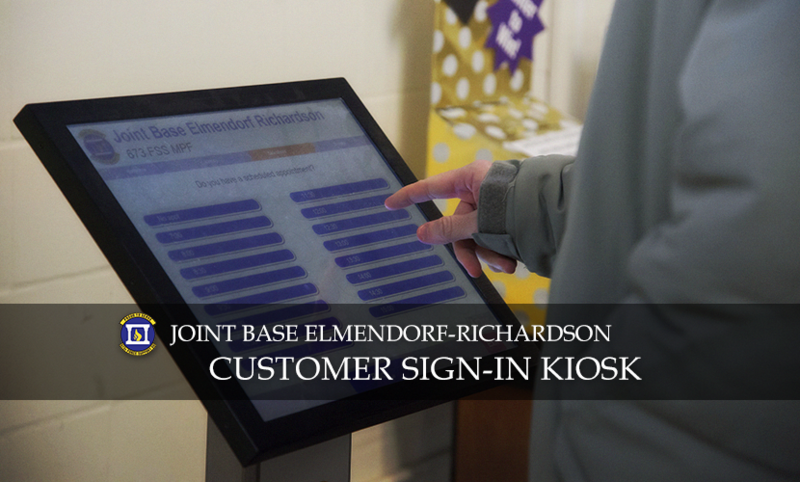 This project was featured in an article, published on the Joint Base Elmendorf-Richardson website, February 9th 2018.